Of the United State’s three branches of government, the Supreme Court has withstood the relentless erosion of public trust better than the other two. However, that began to seriously change when Senate Republicans refused to even meet with President Obama’s nominee, Merrick Garland, in 2016. Due to the decision by Senate Majority Leader Mitch McConnell and his Republican colleagues to rewrite the playbook, for the duration of his time on the court the seat occupied by Justice Neil Gorsuch will be seen as stolen by a significant percentage of the country. Unfortunately, because the play Senator McConnell called worked from the GOP’s perspective we’re likely to see it or something similar again in the future unless we dramatically change the nomination and confirmation process. Because the United States Supreme Court gets the last word if it decides it wants it, it understandably is the court that receives almost all the public’s attention. Neither the media nor the public focus nearly as much on the appellate or district courts. They are even less observant when it comes to their own state supreme courts and local judges. As a result, it’s easy to forget that there are nearly fifty other executives in this country nominating justices all the time. That this receives so little press is not just an indication of a lack of public interest or awareness, but also a testament to the fact that at the state level, at least, the nomination and confirmation process has so far generally avoided the kind of ideological battles US Supreme Court nominations are known for in Washington. That most states don’t see the kind of bitter partisan bickering that began within minutes of Justice Kennedy’s retirement is not an accident. Alaska, for example, intentionally placed provisions in its state constitution intended to avoid the dysfunctional and increasingly corrosive approach which, if it continues for much longer, could see the Supreme Court sink to the same levels of approval enjoyed by the institution located just across the road. So how does Alaska do it? First, it allows interested individuals to apply to fill vacancies. A council consisting of an equal number of lawyers and non-lawyers and chaired by Alaska’s chief justice reviews the applications, conducts background checks, and holds public hearings that enable the citizens of Alaska to provide feedback regarding the candidates the council is recommending to the governor. The council must forward the names of at least two qualified candidates for each vacancy to the governor for him/her to choose from. While there’s no reason to believe the current occupant of 1600 Pennsylvania Avenue has any interest in following Jimmy Carter’s lead, by creating a similar commission his successor could take a huge step toward clearing away much of the partisan acrimony and distrust that has accumulated around judicial appointments like years of uncollected garbage. Rather than seeking justices that have been faithful party members or that have demonstrated they pass certain ideological litmus tests, merit, integrity, and a commitment to “equal justice under law” would be the primary qualities sought. Such commissions could also give the public the opportunity to participate in the judicial nomination process in a way they can’t now. People would be empowered to submit names to the commission along with brief letters of recommendation articulating why they think a particular person was well suited for the bench. Others could apply themselves. In this way, the pool of potential nominees is widened far beyond those already serving in a state or federal court or known to the president and his/her inner circle. In addition to increasing public confidence in the federal judicial system, dramatically reducing partisanship in the nomination process will be a necessary part of the de-escalation process that must happen soon if the United States is going to pull back from the brink. The current extreme polarization and win at all costs mentality will destroy everything, including the judicial system if it continues unabated. 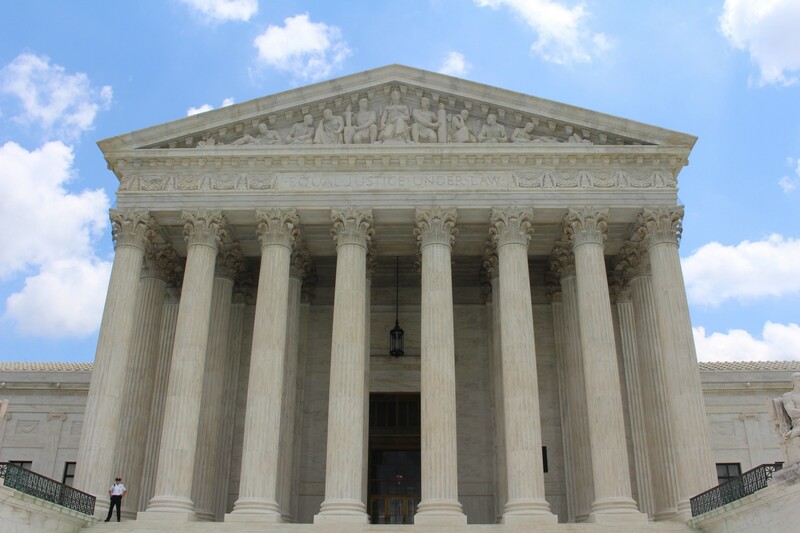 Resurrecting President Jimmy Carter’s nominating commission provides a trust but verify approach that both sides can respect while beginning a tradition of nominating judges in a way that honors the democratic process. A nominating commission that invites the public and interested legal minds into the process also creates an opening for individuals with different backgrounds and experiences to find their way onto the bench, and potentially even onto the Supreme Court. Currently, the Supreme Court has something of a groupthink problem. Obviously, the justices don’t all share the same ideological perspective, and we do currently have three women serving as associate justices including one Hispanic. Since 1967 there’s consistently been one African-American as well, though the two individuals that have filled that chair couldn’t have been more philosophically and temperamentally different. It must be remembered that the justices are elites and reflect the values of elites in society. Look at the current Court. As I mentioned earlier, all were educated in elite schools. John Roberts, Antonin Scalia, Anthony Kennedy, Ruth Bader Ginsburg, Stephen Bryer, and Elena Kagan all went to Harvard Law School, while Clarence Thomas, Samuel Alito, and Sonia Sotomayor went to Yale. As undergraduates, Roberts, Ginsburg, Kagan, Alito, and Sotomayor went to Ivy League colleges, while Kennedy and Breyer went to Stanford. These are all excellent schools, and it certainly doesn’t hurt to have the Ivy League represented by at least one or two justices. However, Harvard and Yale are hardly the only universities with graduates that possess brilliant legal minds. In fact, there is every reason to think that state universities are producing scores of individuals each year that have the potential to eventually make excellent additions to the federal bench. That some of them had to work their way through law school as a janitor or as a cashier at the local supermarket not only does not disqualify them but would add a perspective that’s currently absent on the Supreme Court as well as throughout most of the judiciary. And lest anyone think this situation has changed with the confirmation of Neil Gorsuch, he got his law degree from Harvard. For that matter, so did Merrick Garland. The problem isn’t that there’s a conspiracy to make sure the federal bench is stocked only with elites who attended Ivy League schools. Presidents have a tendency to move in these same elite circles, and so draw from the pool of people they know. Regional nominating commissions set up in each circuit would bring the nominating process closer to the people living in the region that circuit court serves. If representatives from these commissions are also called upon to present the president with qualified candidates when a vacancy on the Supreme Court occurs, they will necessarily expose him or her to potential candidates that are also more likely to be from outside the circle of elites that have traditionally been the source for nominees. There’s one long overdue change to the court that will require an amendment to the Constitution. Currently, federal judges serve for life, and that’s far too long. In his book (cited above) the legal scholar Erwin Chemerinsky advocated for eighteen-year terms. The 2020 presidential candidate Andrew Yang recently tweeted that he supported the idea as well, but to my knowledge, he is the only actual/potential presidential candidate to do so. I haven’t heard of any senator or representative that has spoken out on behalf of the idea either. Judicial term limits would not be a radical reform. In addition to the many states that have nominating commissions to review the qualifications of potential nominees, every single state limits the terms their judges can serve before having to either be renominated or face a retention election. The United States is the only country with an independent judiciary that does not limit the terms of its judges. One of the main reasons the Kennedy retirement immediately set off such a bitter nomination fight is the fact that President Trump has openly stated his goal is to select someone who could potentially sit on the court for decades. Democrats don’t need to wait to see the name of the nominee or read his/her resume under these circumstances to begin signaling their displeasure. Republicans likewise have little incentive to support the nominees of Democratic presidents when the court is being reshaped for generations. Eighteen-year terms would guarantee an opening on the court at least every two years, no matter which party controls the White House or the Senate. This would bring regularity to the nominating process and give assurances to both parties that any president elected from their party would be given at least two chances to nominate a candidate to the court. Even the most ideological nominee would be rendered more acceptable in these circumstances given their years on the court could not exceed 18. In addition, new blood every two years guarantees the court never settles into a rut. New perspectives would be consistently coming and old ways of thinking that no longer apply would be consistently moving off the bench as terms expire. While term limits may be more difficult to implement than a judicial nominating commission, in many respects they would have the greater impact on both public discourse regarding the court and the court itself. An independent judiciary is as vital to the functioning of our representative democracy and the principles it aspires to uphold as the legislative and executive branches are. As the absence of bitter partisan battles regarding nominees at the state level show, the states have proven themselves wiser stewards of this branch of government than the federal government has been. Anthony Kennedy’s retirement and the acrimony that is likely to ensue from the fight over his replacement won’t be in vain if we use it to begin a serious conversation regarding judicial reform. Otherwise, we’ll just be doing this again within the next few years upon the retirement or death of another justice, and that’s something no one on either side of the political divide is likely looking forward to.